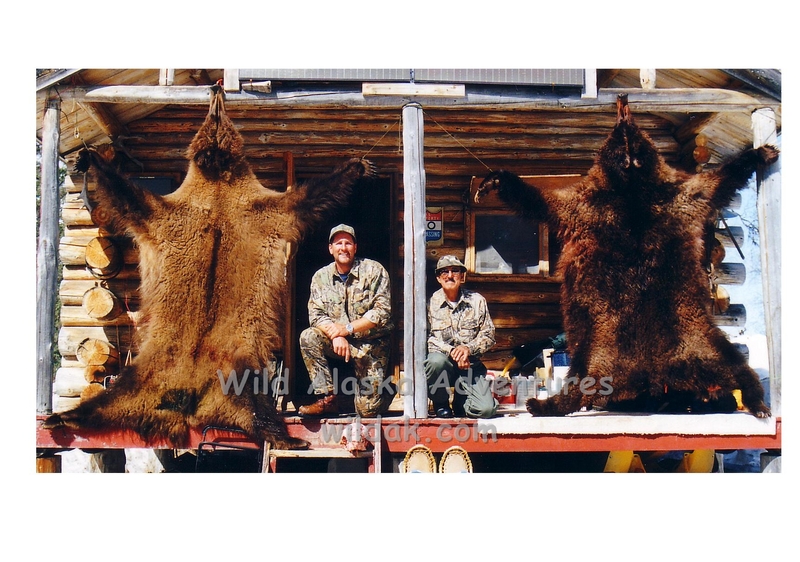 We can hunt Brown Bears starting Mid July until Early September so book your hunt early! 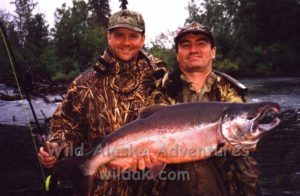 Combining Brown Bear hunting with excellent freshwater Sport fishing provides all the ingredients for a real Alaskan Adventure! Heavy Silver Salmon runs increase the high concentrations of Brown bears offering great opportunity for hunting as well as Sport Fishing. We can Fish during the heat of the day and hunt morning and evening. However; our chances are good to see a Bear while hauling in a big king Salmon as well. We offer fully guided Brown bear hunting in combination with the choice of guided Sport fishing before, during or after your successful hunt. This ten day hunt includes all food and lodging with home style meals, four wheelers, and of course, all the Sport Fishing we can throw in. 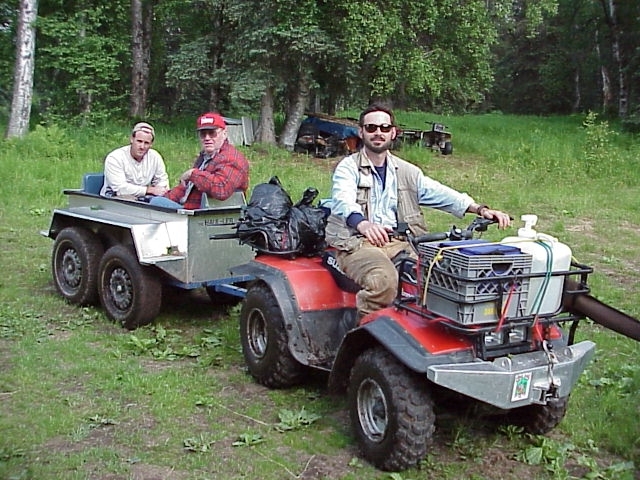 We hunt daily traveling by four wheeler to the freshwater streams returning in the evening for a hot meal and maybe some fresh grilled Salmon. This hunt offers some of the largest Brown bears in South Central Alaska, extremely low hunting pressure, streams packed with Salmon and potentially the least physically demanding of all the hunts I offer. A truly complete Alaska Adventure! Dates for this hunt are June 20th to Sept 1st. The number of Bears in this are supports a season that is open year round and allows two Bears per person. A super Silver Salmon over 20lbs. brought in during Brown bear hunting! This adventure provides a unique Sport fishing opportunity for Silver Salmon, Rainbow trout, Arctic grayling, Dolly Varden and more. The Silvers start coming up in late July reaching their peak in the second or third week of August. This is also the same time that the Brown bear concentrations are at their highest. This is Freshwater fishing at its best combining a four wheeler trail ride through incredible primordial forests, heavy runs of Salmon, private airstrip and trail access, hand built Lodge, cabins and more. For hunting, bring your basic hunting gear including hunting license & tags, hunt pack, binoculars, sleeping bag and choice of weapon. Rain gear,bug repellent and camera included as well. I have detailed packing lists to help with preparation for your hunt. For fishing, if you have or prefer to bring your own fishing gear, that’s fine. However; we can supply rods & reels, tackle, hip boots, and rain gear. You should bring a day pack for your personal gear; camera, film, polarized fishing glasses, and any other personal items needed. Don’t forget the mosquito repellent. Our package includes eight days stay with seven full days of hunting and fishing. We arrange for your flight from Anchorage, Alaska directly to our Homestead Fish camp via Air Taxi. You are responsible for the fee. Upon arrival, we settle you into your cabin and familiarize you with our camp. 2×1 combo hunts available upon request.